This morning was very busy, especially for a Sunday. My wife and daughter went to an early cooking class and my son and I had planned to go to the high school to run intervals at the track. Instead, he completed his weekend homework and I ended up doing a treadmill run. We finished our tasks, only to discover that our freezer was failing. So our morning time together involved salvaging food and trying to (unsuccessfully) restart the refrigeration process. 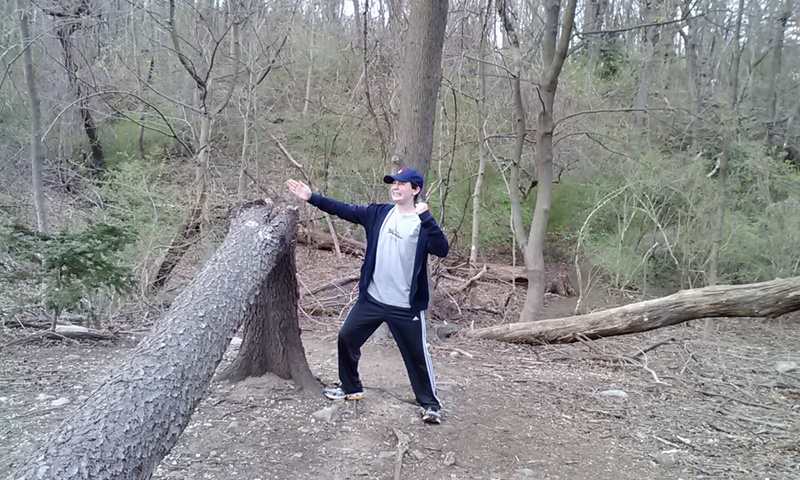 Yesterday afternoon, my son and I returned to nearby Trailview State Park for another hike. 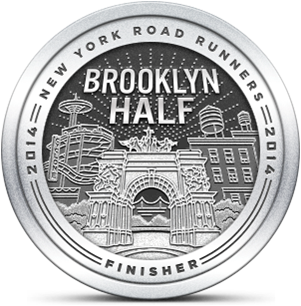 I had run close to five miles in the morning, but I still had lots of energy. My son was also anxious to go. 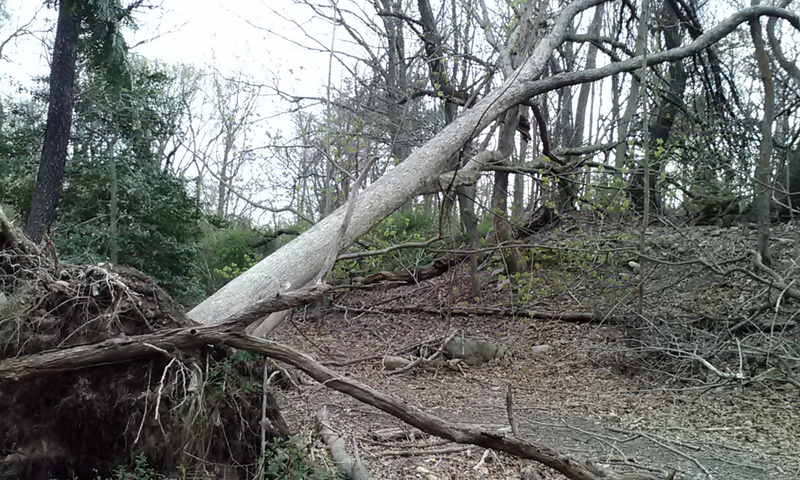 We took a different trail than we had last time, and we saw some new tree damage. 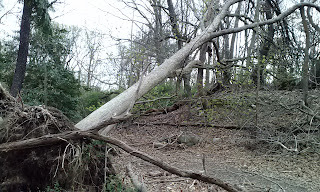 One tree, measuring over 30 feet, had been pulled up from its roots. Another had broken off near the four foot point. 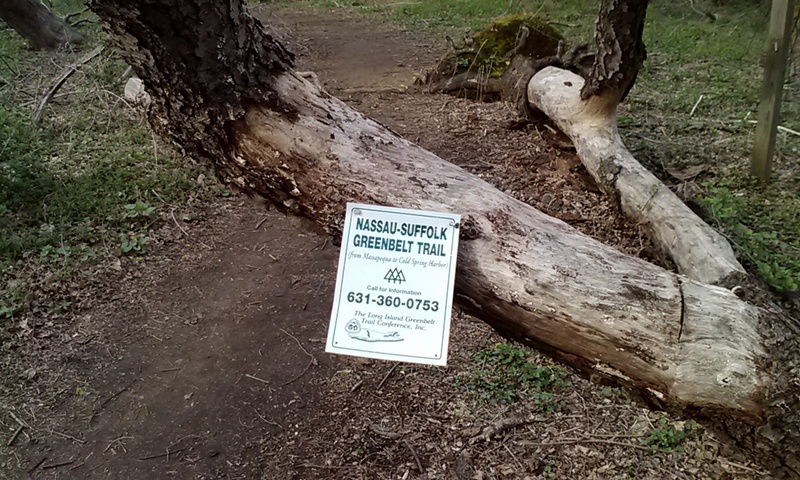 Other than those trees, the trail was mostly clear of obstructions. We went off trail once, just to see where it led, but the thorny brush discouraged us from traveling too far into the woods. It was a hike, not a run, but my son attacked the steep sections like an ultrarunner. He said he prefers hiking to trail running, and I'm good with that. With the rate he's growing and the speed he already possesses, I know I'd have trouble keeping up with him. 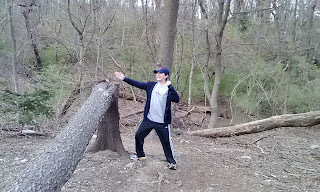 We'll probably head to Stillwell Woods next time so he can get a bigger challenge. There are some sections on Stillwell's trails that make Trailview's tough climbs look mighty easy. That's really nice that you two do this together. He'll always have these memories. Yes, these hikes are always a fun learning experience (for both of us). Plus it's a great second workout!